With over 35 years of experience, our water damage Temple Terrace crew and 911 Restoration Tampa have been working hard to encourage the positives that come from storms and remedy the negatives. Water damage is a necessity in Temple Terrace, Florida because the rains that cause such tragedy also allow for the growth of the special fruit that gave this area its name. Rain leaks can be brutal and sudden, leading to further problems, such as mold, floods, and even plumbing problems. Temple Terrace is named after the Temple Orange that was first cultured in this city. The “Terrace” part of the name comes from the terraced landscape around the river. Without an excess of water, the unique name of Temple Terrace would have never come into existence. We appreciate all the history that water has provided this town. 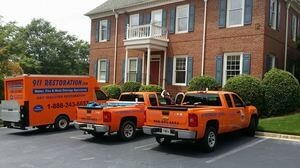 Our water damage Temple Terrace team also knows how devastating it can be when that water gets into houses in the area. We are licensed insured, and boned in water extractions to make sure we can help you with all disaster restoration services. When your home floods, call us for water damage restoration services and we will respond within 45 minutes with the latest drying technology. If you have water damage call our water damage Temple Terrace staff for same day service because the sooner you have a professional on the job, the faster and more affordable the water removal will be. We are the go to company for water damage Temple Terrace services because we emphasize with the customer and work hard to make you feel at home throughout the ordeal. We know the stress that accompanies floods, so we lessen that burden by handling all aspects of disaster restoration. Call our water damage Temple Terrace specialists when your water line breaks or a toilet overflow occurs and we will be there as soon as possible to start pumping water from your home and to help you understand how your homeowner’s insurance covers water damage. Your homeowner’s insurance covers our water damage Temple Terrace job as long as negligence or a local river flooding did not cause the incident. 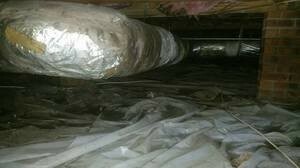 Homeowner’s insurance is meant as a safety net for fluke emergencies. A water heater leak, fire sprinkler malfunction, or other plumbing related incidents that could have been avoided will not be covered. If you perform routine maintenance and these events still happen, your policy will cover them. In regard to a river overflowing and flooding your home, flood insurance will be necessary. We are happy to explain the differences, just as one of our water damage Temple Terrace members upon arrival and we will look at your policy to determine the extent of your coverage. Since Florida is one of the top three states to be affected by all types of water damage, according to the Insurance Information Institute, you should carry both policies. The Best water damage restoration company is 911 Restoration due to the diligence of our water damage Temple Terrace staff and their dedication to always put the customer first. We value professionalism, which means you are getting the fastest, most affordable, and most professional drying and clean up service in the city of Temple Terrace. We understand the trauma induced by water damage and strive to help you anyway we can. Call our water damage Temple Terrace experts with 911 Restoration Tampa so that we can help you avoid further disaster tomorrow and set you on a path to fresh start today!